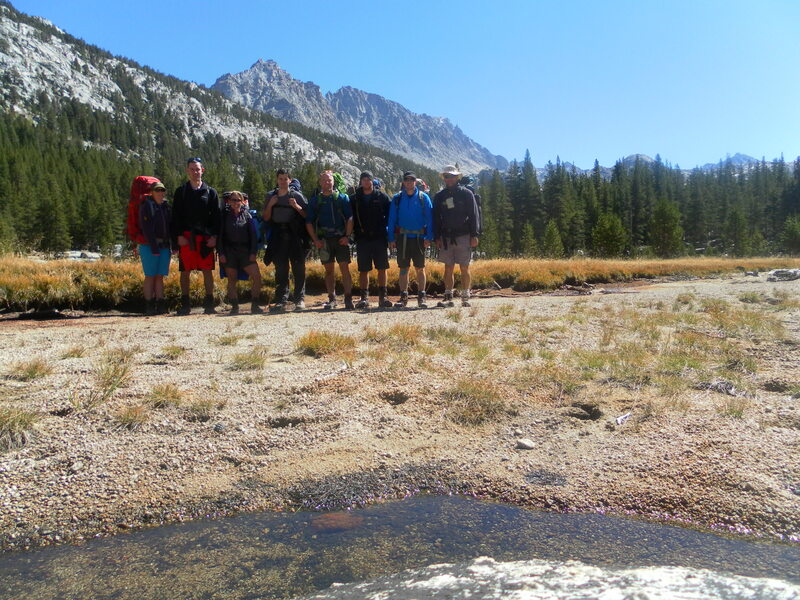 Eight Army Reservists from the NW of England, part of 156 Regiment Royal Logistic Corps, recently trekked the classic ‘Evolution Loop’ of the John Muir Trail in the Sierra Nevada, California. 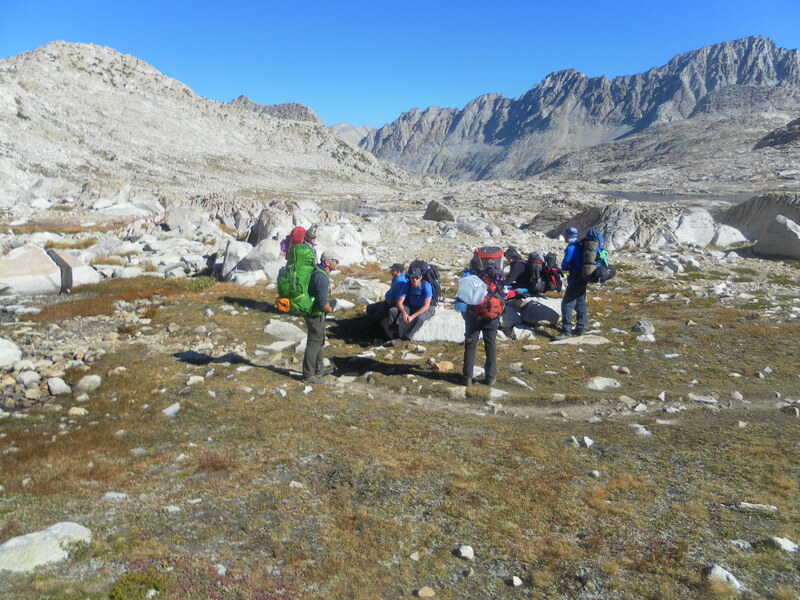 The high altitude trek required two acclimation days before completing the loop with a grand total of 77 miles covered in 8 days. 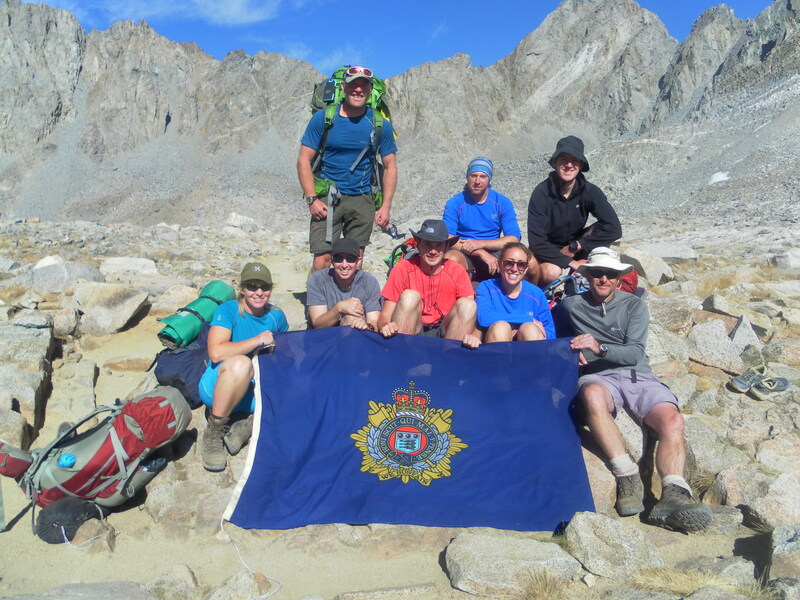 Expedition members carried rucksacks weighing 20kg and were self-sufficient throughout the trek. The SIERRA NEVADA sits on a high plateau at an altitude no lower than 9,000 feet (twice the height of Ben Nevis) but negotiating 3 passes at 12,000 feet (the Eiger is only 1,000 feet higher!). Before our Trek got underway we were faced with a lost Rucksack by British Airways of all things. 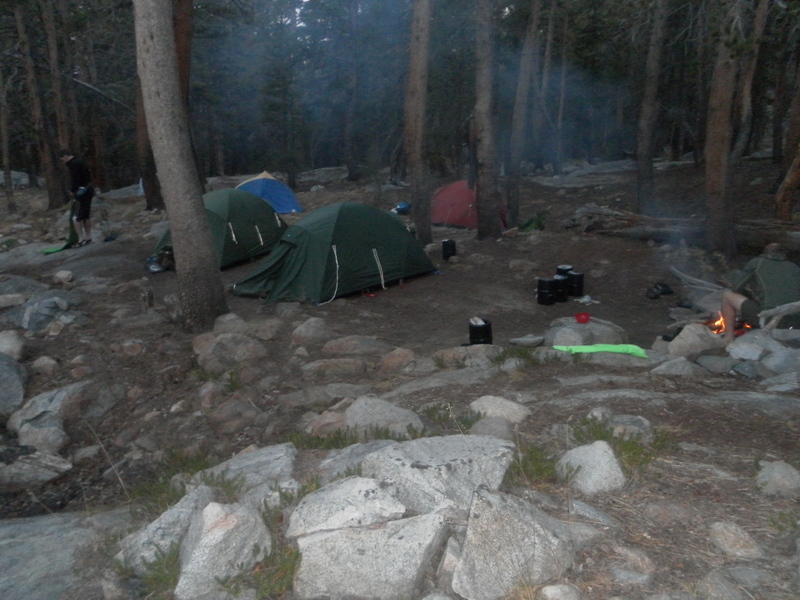 All was not lost as an outfitter in Bishop, had a ready supply of second hand camping equipment and clothing. The group felt for Frankie who was always immaculately turned out and utterly devastated having to wear second hand trekking clothing. The team quickly got used to US style camp grounds that only contained toilets, no sinks or showers. This made the transition to back country camping almost unnoticeable with the exception of the obligatory shovel (trowel) recce for daily ablutions. 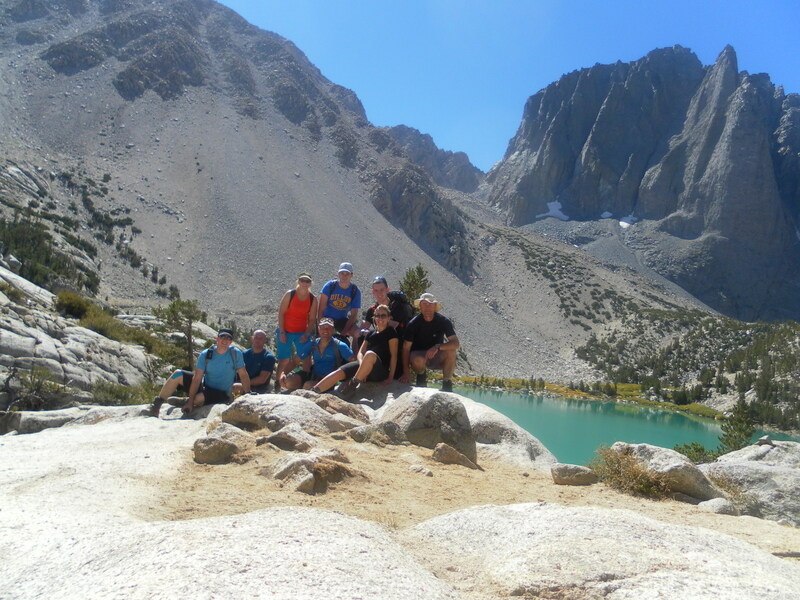 Team members felt the effects of altitude, especially carrying weight and had to adapt to a much slower and deliberate walking pace. Throughout the trek we remained vigilant and slightly hopeful of seeing black bears but didn’t, especially as we were carrying rather cumbersome ‘bear barrels’ to store our food, trash and toiletries each night. The introduction of these bear barrels has almost eradicated any bear encounters in the parks as bears clearly have stopped associating humans with food. 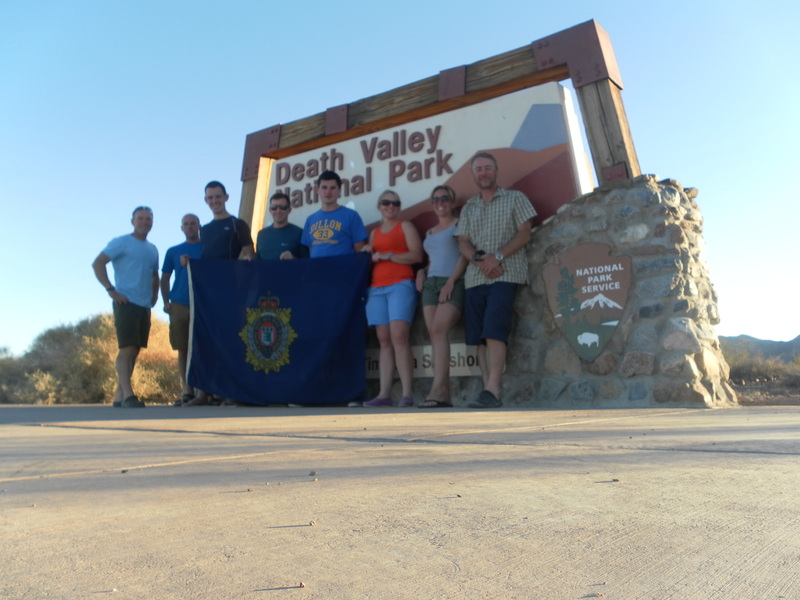 During the trek we came across numerous groups of walkers, always fascinated to hear about the British Army Reserve. Interestingly we had a: BT engineer, driving instructor, gym manager, nuclear plant engineer, recruiter, student and outdoors instructor. A number of issues with our fuel stoves resulted in most cooking been done on open fires, almost a blessing in disguise as we developed a new camp routine. The daily chores of firewood collection, fire lighting skills, clothes drying and/or scorching and cooking on an open fire. 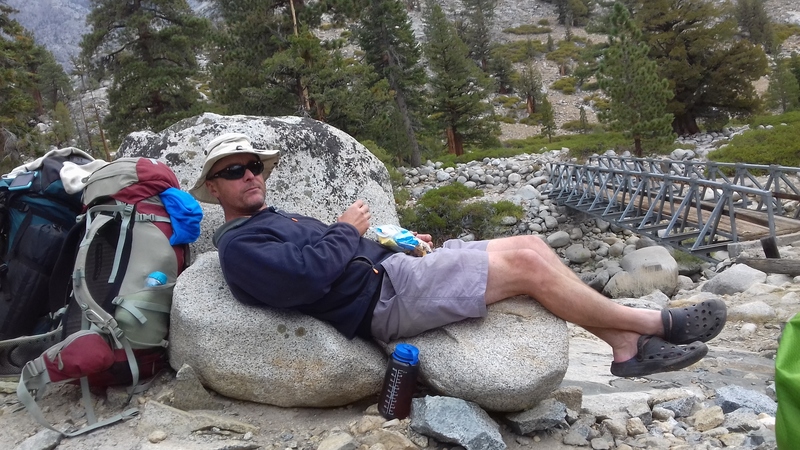 Some nights we were joined in our routine at the camp fire by John Muir Trail through hikers; regaling us about their stories and grateful for the convivial setting of a camp fire. Most hardened hikers appeared to cook on a fuel stove and minutes later hibernated into their tents, so our Ray Mears set up attracted much interest and inter-continental banter by starlight and Petzl torch. During the trek we stayed a number of nights above 10,000 feet with sub-zero temperatures resulting in freezing water bottles and tent outer. The stark reality of the dangers of living at this altitude were reinforced one morning when we met a lone hiker in her late sixties who whilst erecting her tent in gusty conditions the night before had almost seen her tent blown into the lake. The experience had clearly shaken her and the thought of surviving a night out under the stars at over 10,000 feet had scared her. 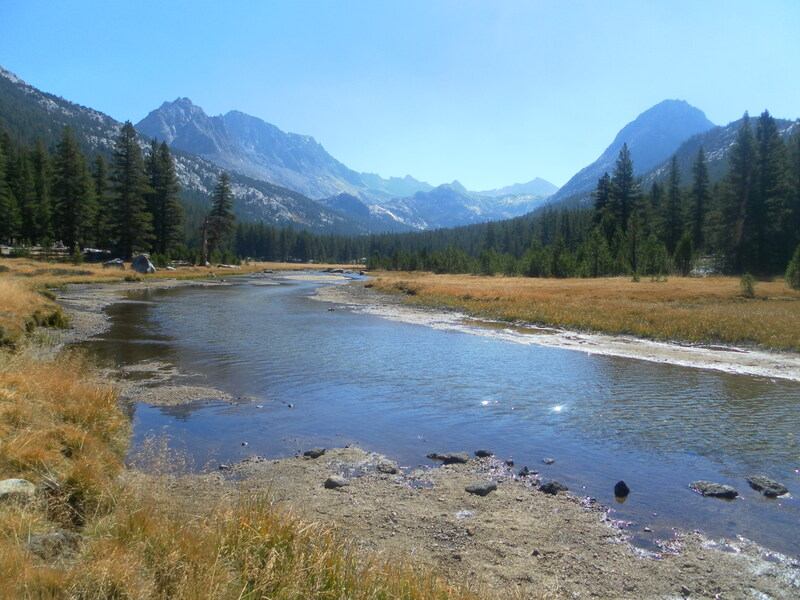 Due to the very dry and rocky conditions underfoot a common ailment was sore feet and blisters, refreshingly cooled off in the high mountain lakes and streams. Danny even braved an Acapulco style dive in from the rocks; but the look on his face convinced most of us that whilst the beautiful translucent green of the lake was superb for photography it was mind numbingly cold for a swim. The highlight of the loop was the stunning views in the Evolution Meadow section of the trail enhanced further by the changing autumnal colours of the trees. Each team member had had to overcome some mental and/or physical battles to achieve their goal. 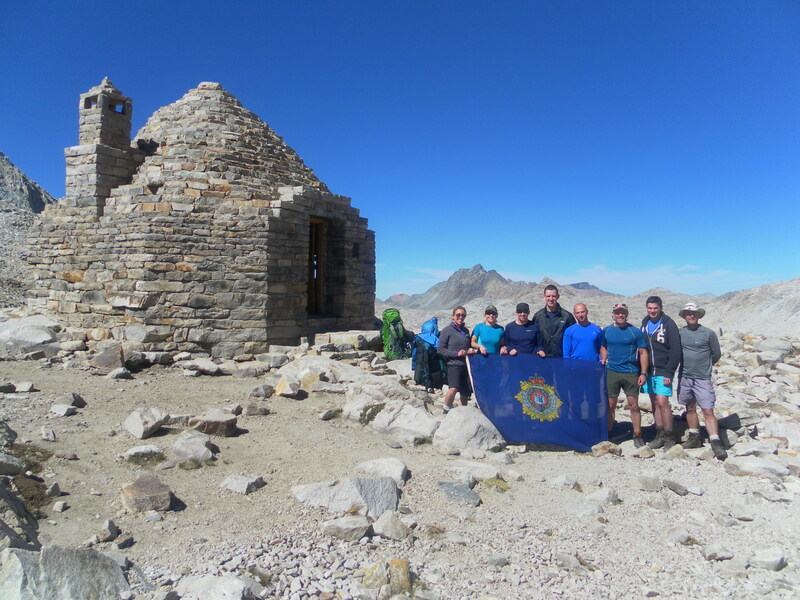 It was a truly character building experience for some and a very steep learning curve for those new to a long distance high altitude trek. 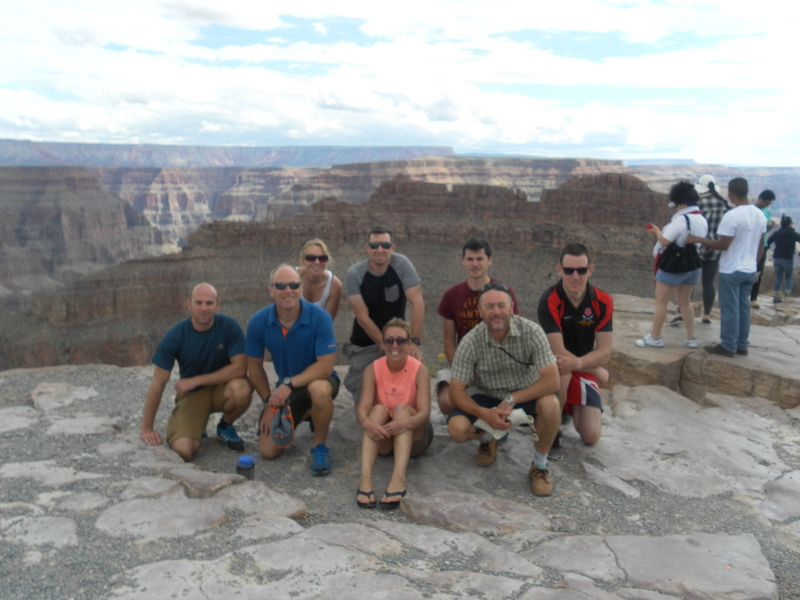 Our return journey to the UK took in the sights of: Death Valley, the Hoover Dam, Lake Mead, Valley of Fire, the Grand Canyon and not forgetting Las Vegas our departure airport. On our return to Manchester it seemed incredible that we had achieved so much in such a short period of time. None of this would have been possible without the generous grant from The Ulysses Trust and others and we hope this short article pays back in some small way the generosity of the Trustees.